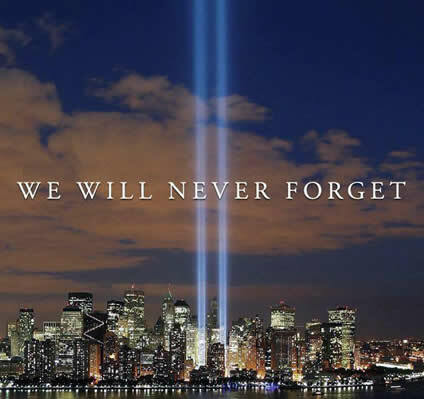 Seventeen years have passed since this dreadful day which means that almost all of our high school students were not even born when it took place. We hope that you will slow down to remember this dark day in our history and honor the people who lost their lives on September 11, 2001. Also, if the opportunity arises, take the time to explain to a young person who may not know or appreciate the magnitude of it, so that in future years we will continue to remember and honor these innocent victims.